Each month, Beaver Toyota partners with a local organization that is working to do good in our community and together we make dreams come true. 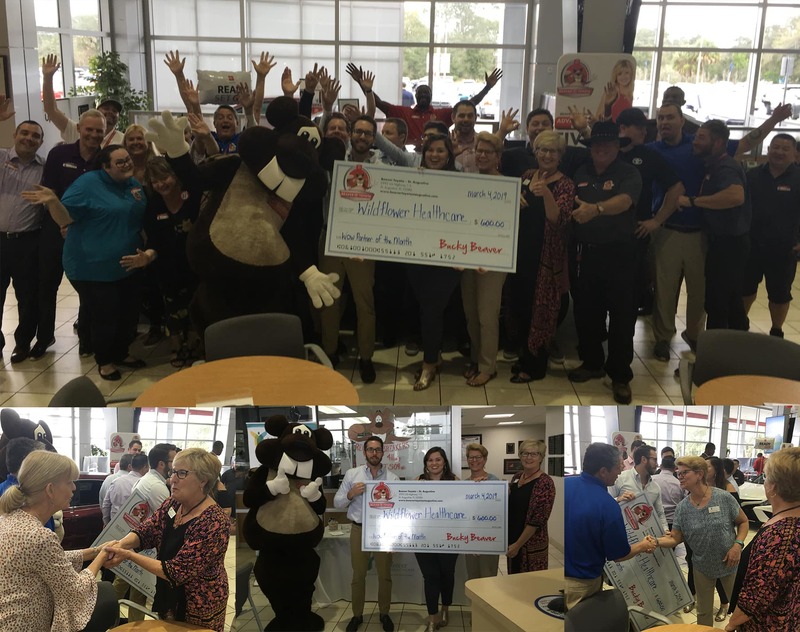 Beaver Toyota is donates a portion of the proceeds from each vehicle sold to support the organization’s efforts toward achieving a particular goal. This February, we are proud to partner with, and donate $600 to Wildflower Healthcare! Wildflower Healthcare is a local non-profit offering free medical, dental and healthcare education services to low-income, uninsured adult residents of St. Johns County. For the past twenty-three years, Wildflower Healthcare has responded to the needs of our underserved neighbors through the dedicated support of volunteer healthcare providers and local healthcare partners, as well as contributions made by foundations and community partners such as Beaver Toyota. 23,812 (28%) households in St. Johns County qualify for our services, having an income at or below 200% of Federal Poverty Guidelines, and who currently do not have medical and/or dental insurance. With tremendous community support, we have touched numerous lives over the years. Last year, Wildflower Healthcare served over 3,200 neighbors in need. More than 10,000 patients are estimated to need dental and medical care in 2019. For more information about how to partner with Wildflower Healthcare, please visit our website at www.wildflowerhealthcare.org or feel free to contact us at 904-829-1962.